To reclaim cycling as a normal activity, for any person of any age or level of fitness, by creating safe/safer cycling environments. H-BUG actively supports the concept that the whole community is encouraged to adopt/maintain a healthy lifestyle through activity and exercise. By developing a structure of cycling activities that encourage individuals to cycle regularly and to set themselves easy-to-achieve personal goals to aspire to, it is expected that cycling will enhance our community spirit and lead to a lifelong enjoyment of cycling. To provide an environment where children (and adults) can learn to ride a cycle in traffic-free conditions. This can be achieved by creating an all-weather path on the Sport Honeybourne field. 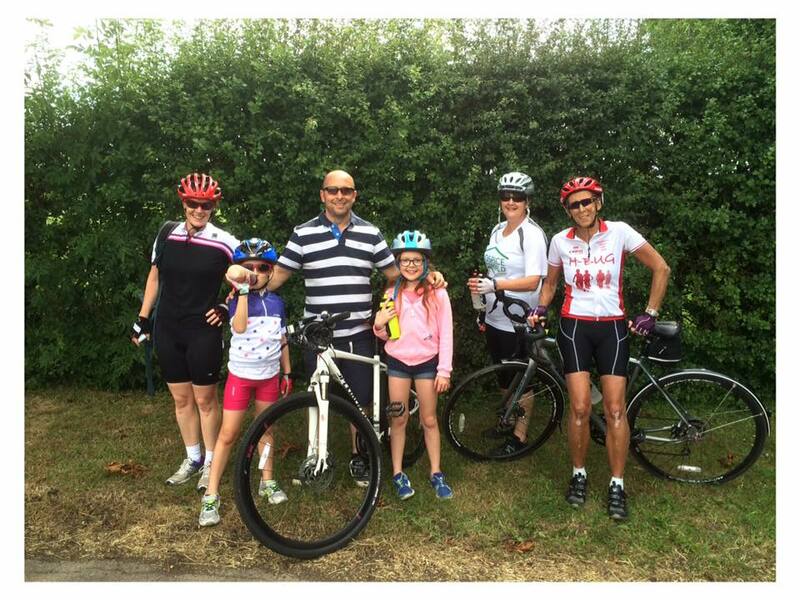 To introduce families (and individuals) to safe on-road cycling. This is being achieved through short rides (from 1 to 6 miles) in controlled conditions on quiet lanes. To extend the short rides to roads with more traffic and potential traffic hazards. This is being achieved through short rides (1 to 6 miles) on local roads with multiple potential hazards. To encourage riders to aspire to ride greater distances in incremental steps. 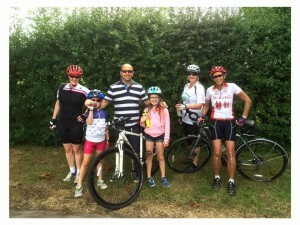 The “Aspire” programme leads and encourages riders to move outside of their comfort zone by initially riding 10 miles, then 20, then 30, then 40, then 50. To encourage all riders to experience and enjoy the fun of competition. The Sport Honeybourne field provides the opportunity to ride safely on grass. Individuals will be encouraged to cycle a given distance at their own pace, setting a personal best (PB); and then to try, over time, to improve their PB by one second at a time. With PBs established, we can then seed riders and all enjoy pursuit rides. To channel talented riders to the best available groups/individuals that will encourage and develop this talent. H-BUG is closely connected to British Cycling, Evesham Wheelers and other cycling organisations. It also has access to national velodromes. By working with local landowners and using local bridleways, riders will be able to enjoy the wonderful local open space and develop a different set of cycling skills. To ensure that all riders are aware of the dangers of sharing road space. Ride leaders will always have safety as their first priority, and will impart their knowledge and reasoning to the group at every opportunity. To actively discourage irresponsible behaviour. Ride leaders will expect riders to listen, and respond to, any advice given that may affect the safety of themselves or others. Start at the front of the bike at the bottom of the M. Make sure that your wheel nuts and bearings are tight. Move up the fork and check your brakes for frayed cables, misaligned or worn out brake blocks. Check your front wheel spins freely without buckles and check your tyres for excessive wear or damage. Moving on up, check that there’s no play in your headset by turning the bars sideways and rocking the bars back and forth. Next check that your handlebars and stem are tight and straight. Move down the M to the cranks and pedals – check that they spin freely and are not loose. Now move up to your saddle and check that it’s tight and correctly adjusted. Move down the final part of the M, checking that the back tyre is in good condition and the wheel spins freely. Check the back brake in the same manner as the front, then finally check that the rear wheel is firmly attached. Done! After a bit of practice this should take you less than a minute.